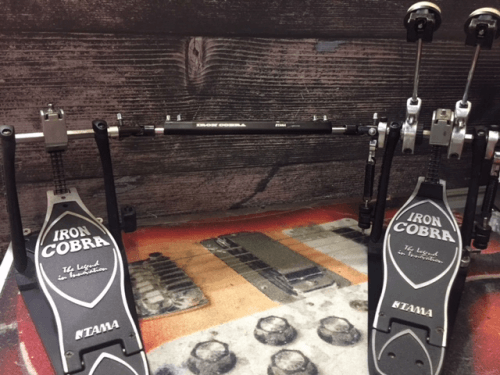 Here is a Lever Glide Iron Cobra Hihat stand by Tama Drums. It has fully collapsible double braced legs (with spikes, mind you)that have 360 degree swivel adjustability for any needed setup. It also includes collapsible foot board for easy & compact storage revealing an extra "foot" for stability. Stand is in pretty good condition & works beautifully! 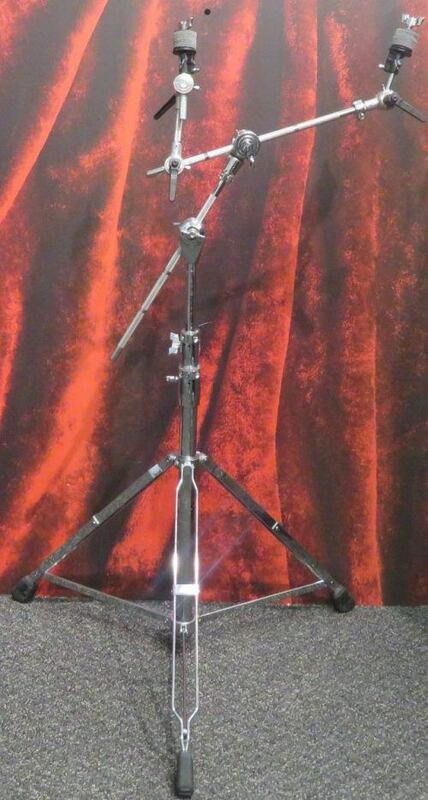 Multi cymbal boom stand. 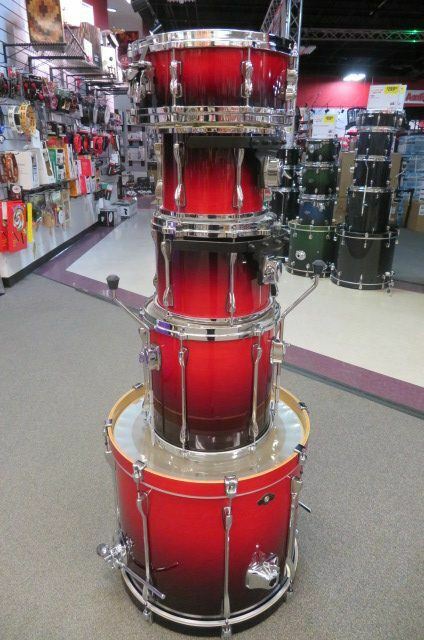 Heavy duty, great for all and any size of cymbals. Very good overall condition, some wear. All memory locks work great. Small rust spot on the leg with the bar code. 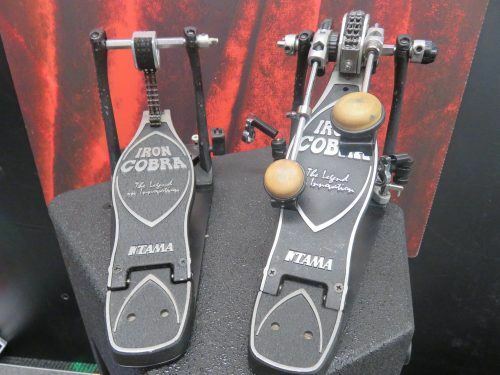 If youre looking for a smooth and quick double pedal this iron cobra is for you. Still like new. 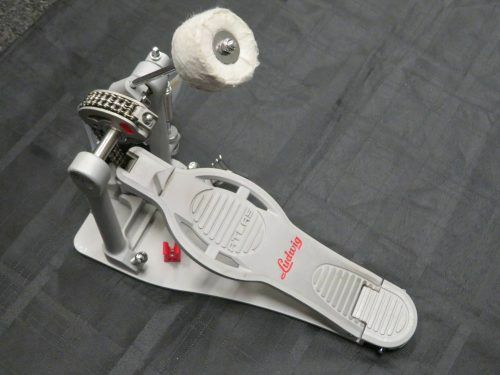 Ludwig Atlas Single Bass Drum Pedal. 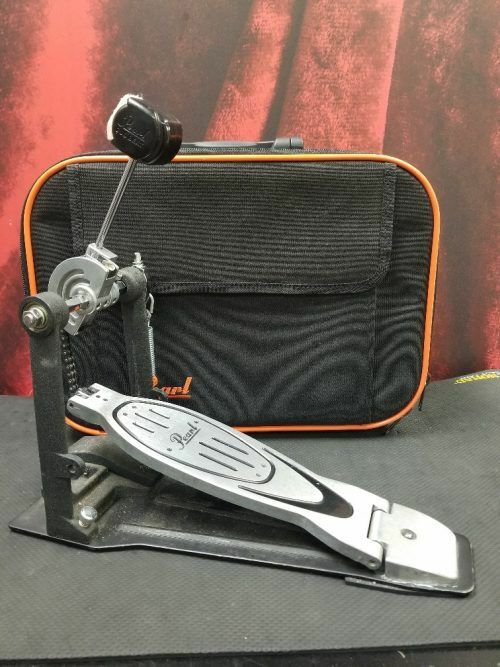 The condition of this pedal is a 9/10. It shows hardly any signs of wear. The only imperfection is it does not have the normal beater. But this beater is still fully functional! 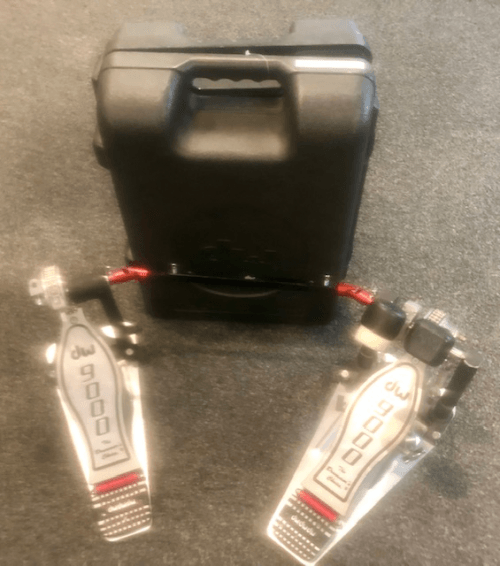 Gibralter 9611DD Intruder Double Pedal. The condition of this pedal is a 8/10. It is in very good shape, with minor signs of wear. Comes with upgraded wood beaters. 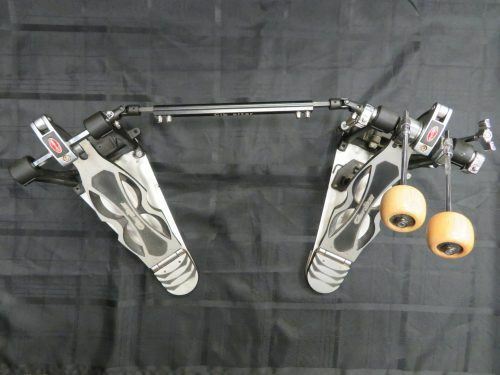 Tama HP910 Speed Cobra double pedal. Comes with case and extras. 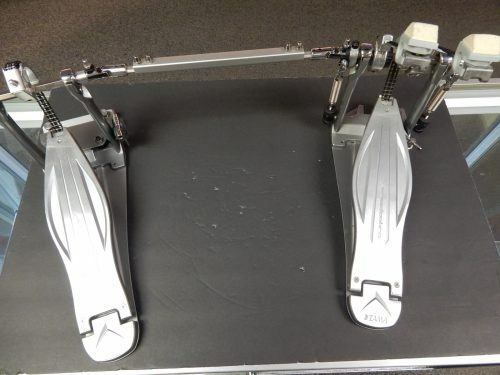 Pedals are in good condition. Signs of use. 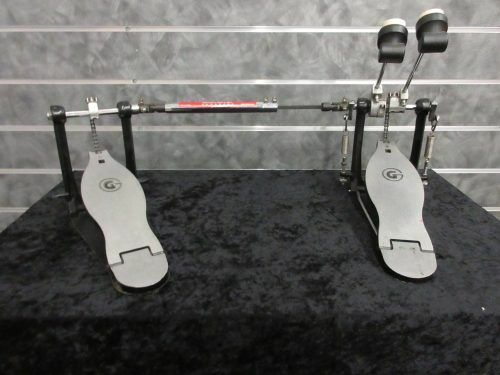 Great all purpose double pedal. 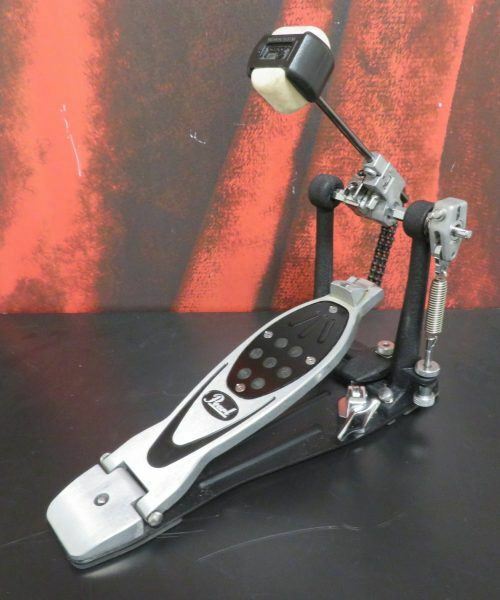 The Gibraltar Single Chain Drive Single Bass Drum Pedal has a Solid drive system, and dependable action. Features the 'G' style pedal board design dual surface beater, adjustable spring tension, and a lightweight, sturdy frame. This pedal is in good condition. this pedal does not come with a case.